Just weeks after Derek Zoolander and Hansel McDonald made their catwalk comebacks at Paris Fashion Week, it seems the supermodel pair have landed their first major advertising campaign. Ben Stiller and Owen Wilson give their best ‘blue steel’ faces as they front Valentino’s spring 2015 promo images, werking it in front of the Eiffel Tower with actual real-life models Tilda Lindstam and Xiao Wen Ju. The fictional, really really ridiculously good looking male models wear rainbow camo print jackets from the luxury Italian house’s current collection as they pose up a storm in front of the iconic landmark (See all the pictures in the gallery above). 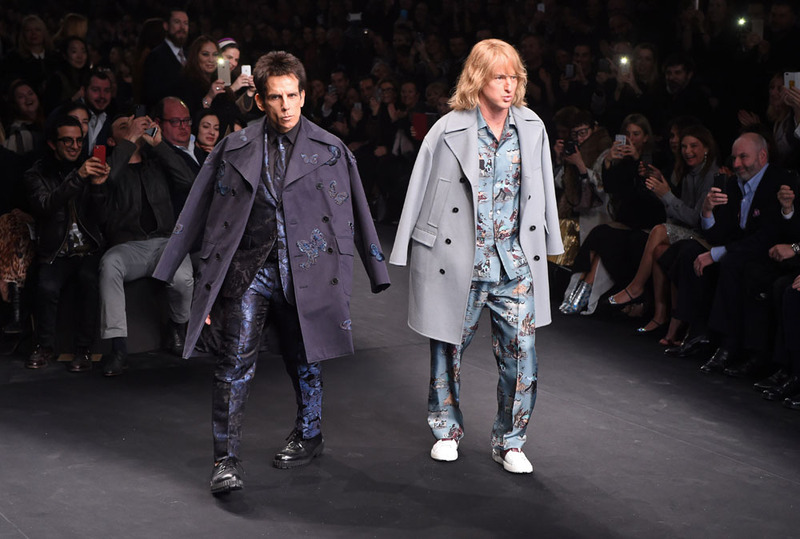 Stiller and Wilson confirmed the sequel to their hit 2001 movie by crashing Valentino’s runway show in Paris last month. The second instalment is slated for release in 2016, with rumours already swirling that Cara Delevingne, Gisele Bundchen and Karlie Kloss may join the cast. Already confirmed to star is Will Ferrell, who will reprise his role as cult designer Mugatu, and Penélope Cruz. The actor also revealed that he and Wilson had shortlisted three different designers to potentially collaborate with on the stunt (although he wouldn’t reveal who) but, in the end, Valentino won. ‘We were just happy we were able to keep it a surprise and that nobody tripped,’ he added.